One of the most iconic anti-aircraft weapons of WWII, the 20mm Oerlikon was ready to swat down kamikaze and Messerschmitt alike. Back in 1934, the Swiss-based company of Oerlikon Contraves (Oerlikon being the name of the town the factory was located in and contra-aves being Latin for “against birds”) dusted off a World War I design by German arms engineer Reinhold Becker and super-sized it to be able to smoke low-flying aircraft. This gun, typically just referred to as the Oerlikon, became perhaps one of the most effective single-man operated antiaircraft artillery cannons of the 1940s. And firing a 20x110RB round about three times as heavy as the .50 BMG it’s easy to see why. 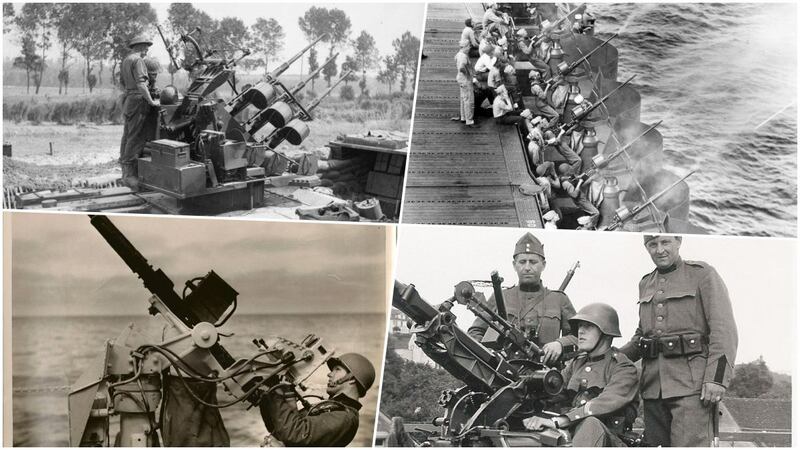 Used by ground forces from Switzerland to Thailand and on everything afloat from PT-boats to battleships and aircraft carriers, the Oerlikon was super popular whenever enemy planes were spotted low on the horizon. 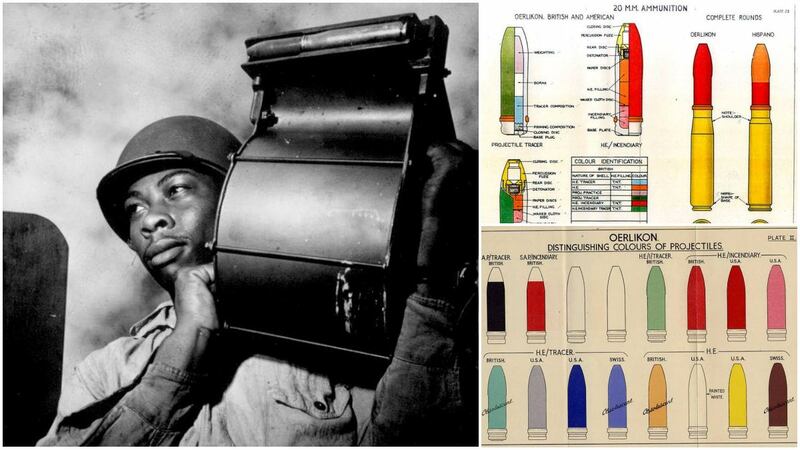 The ammo is in many ways unique today. The gun used a variety of ammunition types, loaded in a hefty 60-round drum that weighed 36-pounds when empty. Guns.com featured Alan and his mother-freaking gorgeous 20mm Oerlikon in an article back in 2013 and below we have a video of it spitting 60 (hand-crafted) cigar-size rounds downrange. Alan is lucky enough to own a transferable Oerlikon which we showed pictures of in a previous article. “It’s a big low throaty boom-boom-boom and bounces me around a little,” he said when asked how it felt to take the 20 mike-mike for a ride. And the ammo? You can’t just go down to the local big box and pick some up of these giant rebated rimmed cartridges. This stuff hasn’t been factory manufactured in generations– which leaves Alan to roll his own. Seems to work pretty good. Other than that, your best bet is to visit your nearest WWII museum ship such as the USS Alabama, where volunteers and curators work hand in hand to preserve such relics available to the public.